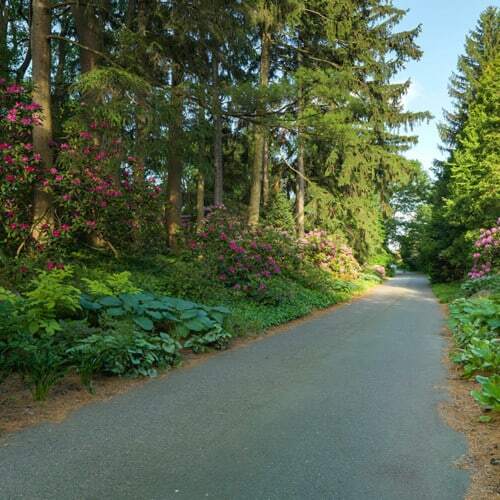 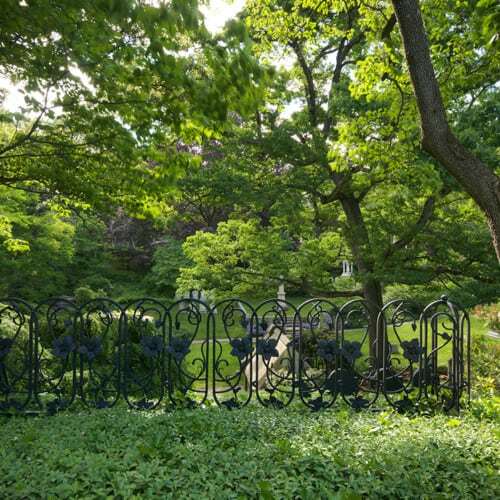 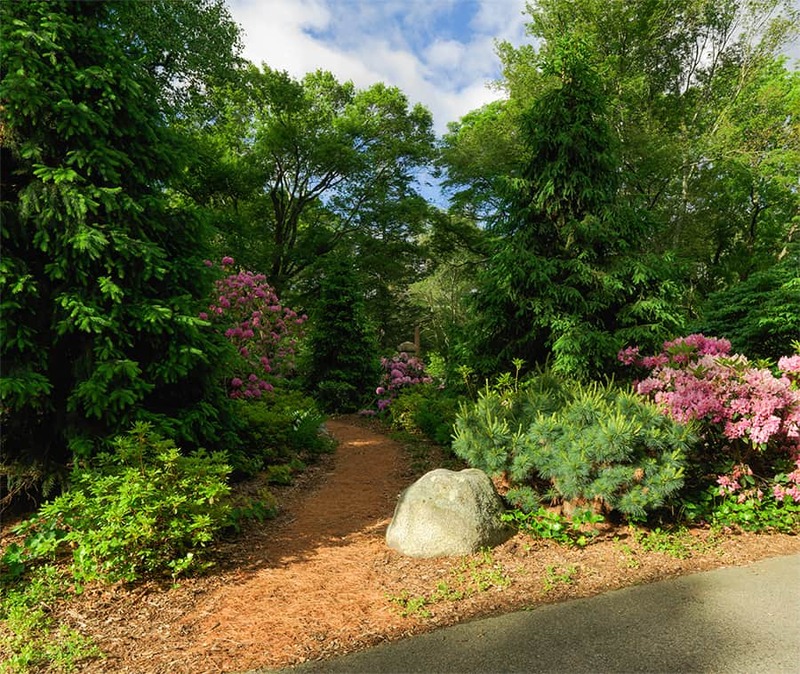 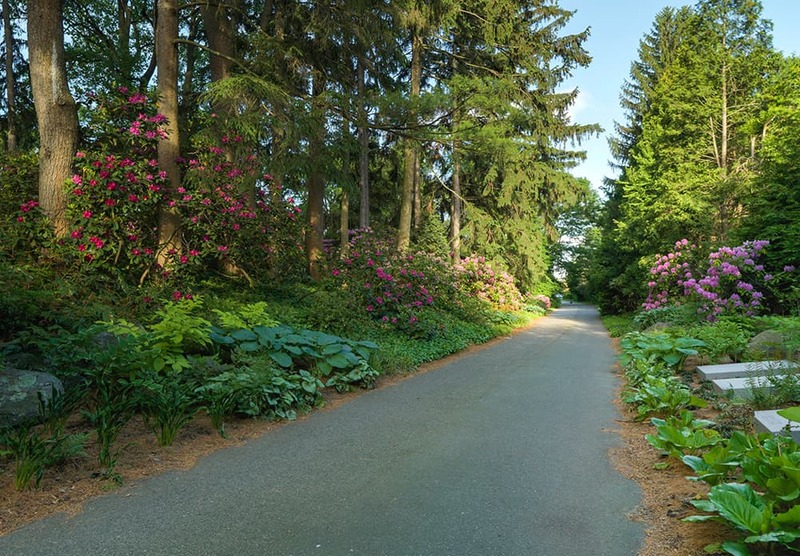 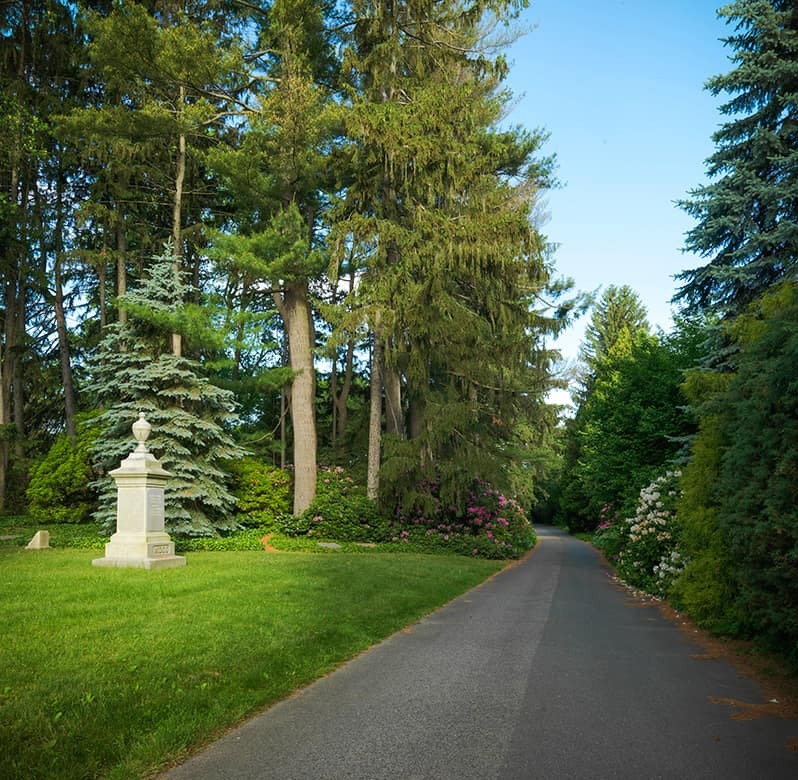 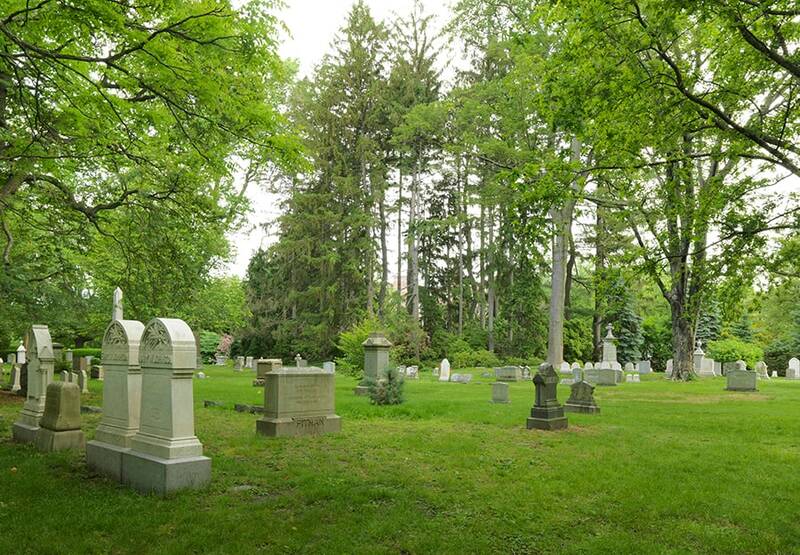 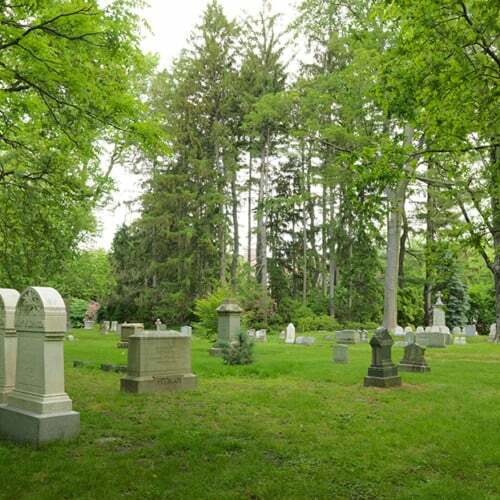 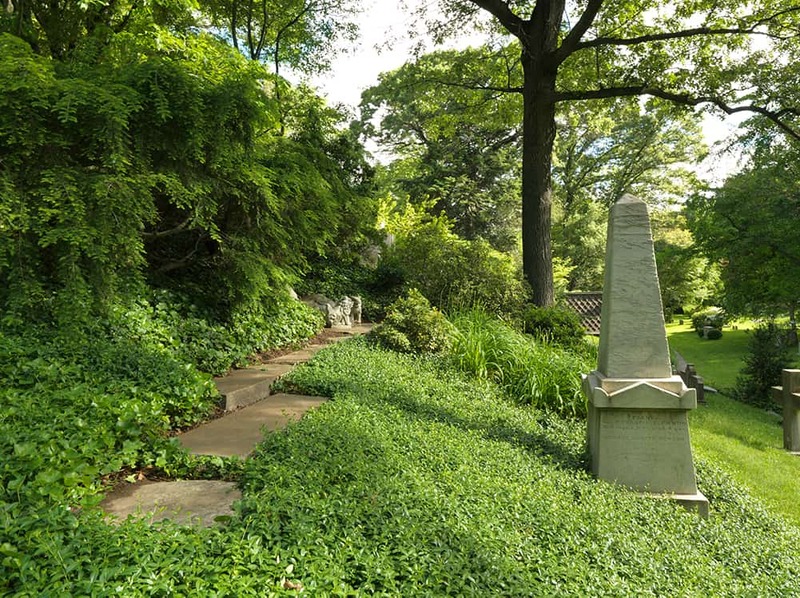 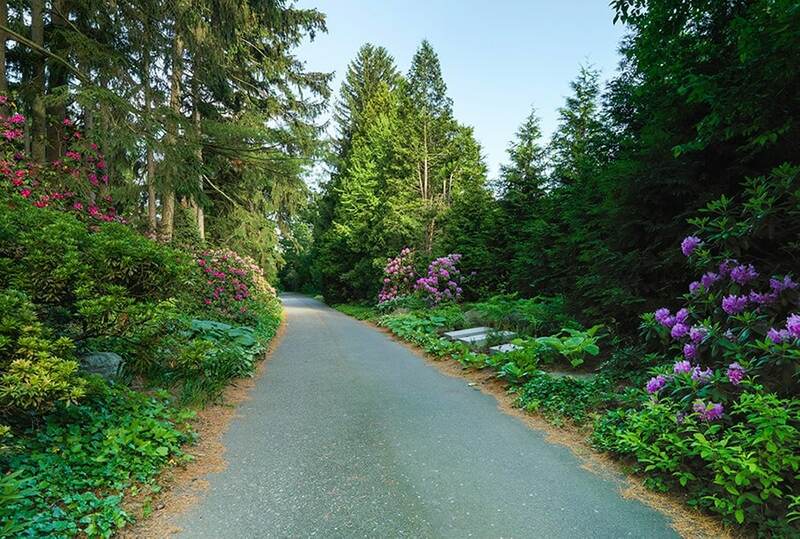 Known as one of Mount Auburn’s most desirable burial spaces, Spruce Knoll is beloved for being a natural garden setting in the heart of the historic cemetery. Amidst the cathedral-like spruces, visitors feel far removed from busy Mount Auburn Street nearby. 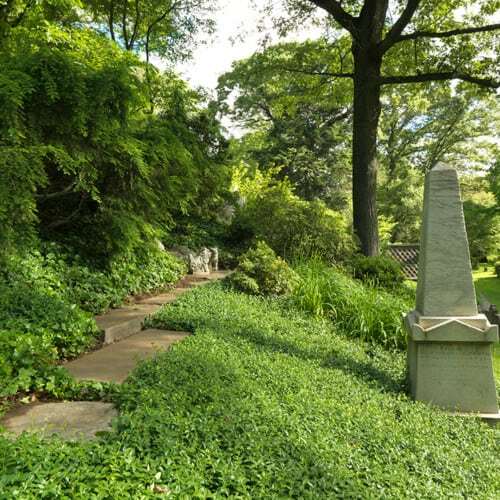 Most memorialization is decentralized from burials and occurs on stone tablets that encircle the foot of the mound. 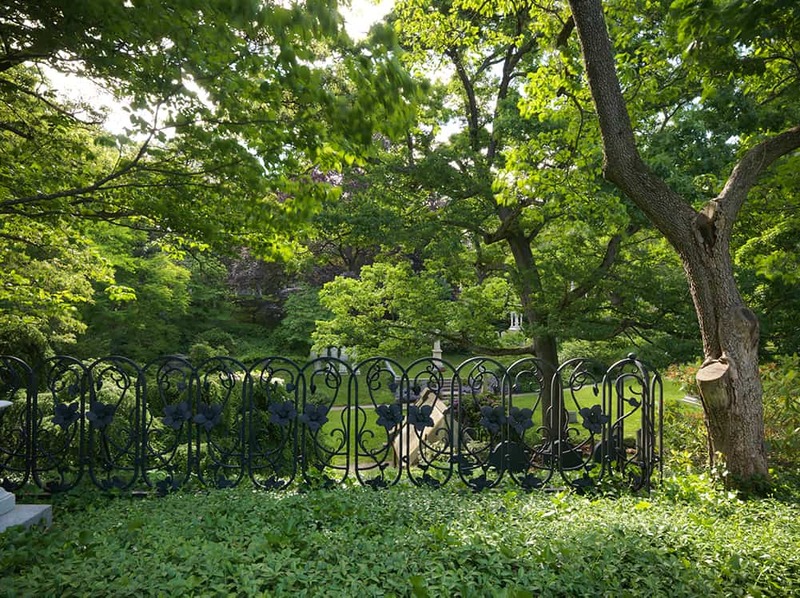 Working closely with Mount Auburn staff, JMMDS transformed the knoll into what seems like a natural landscape quite different from the historic monuments around it. 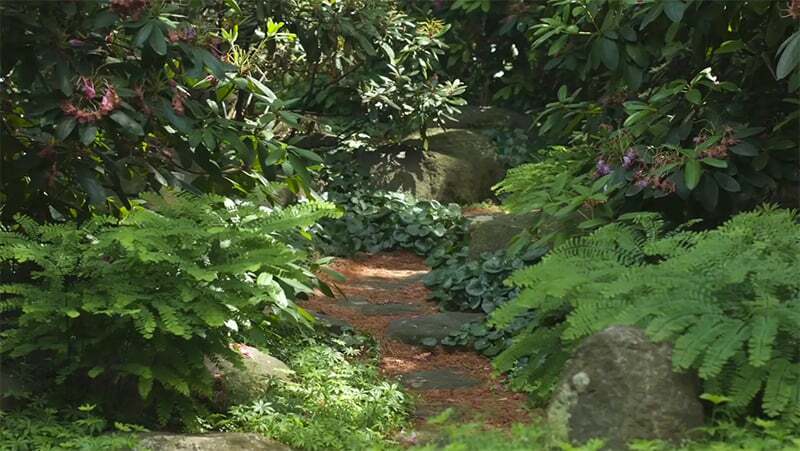 Pine-needle paths wind throughout the space, while artfully placed stones create memorable destinations. 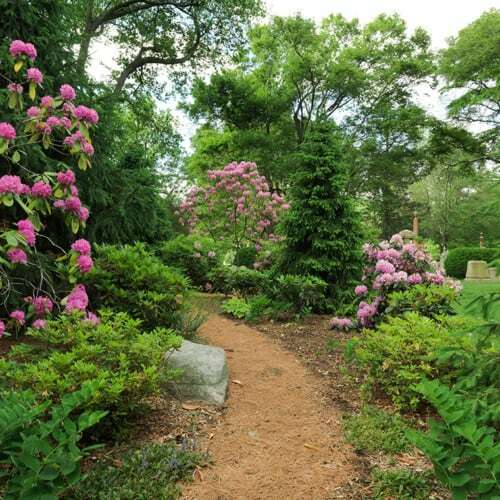 Ashes are poured directly into groundcover beds. 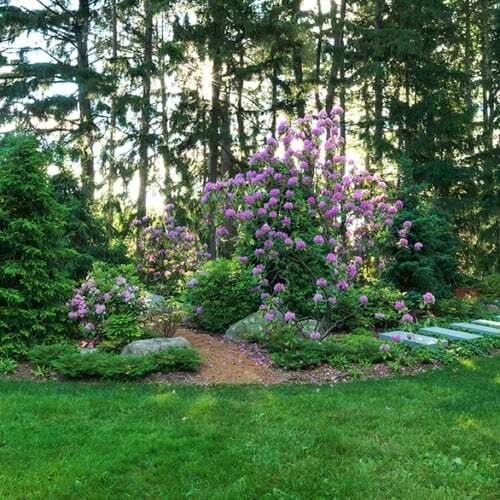 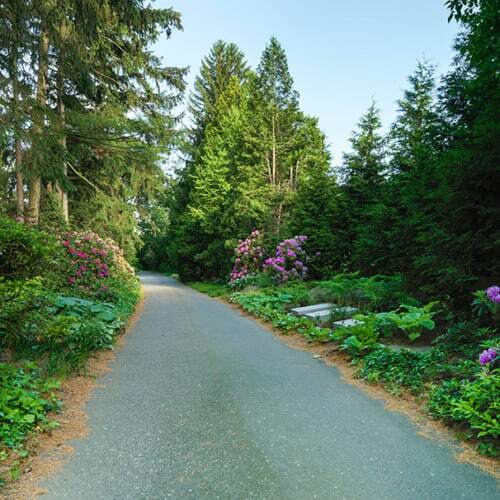 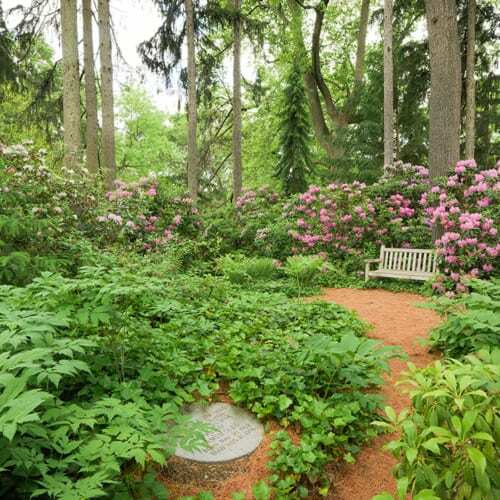 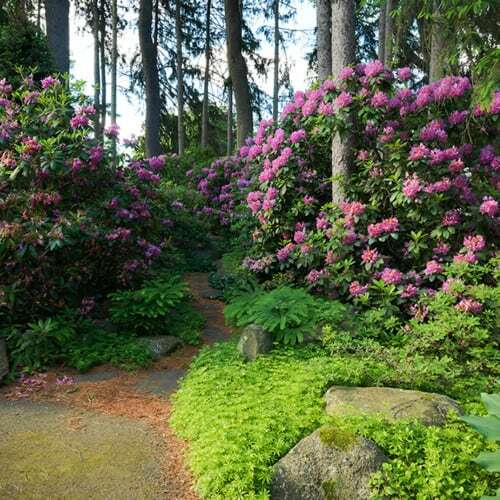 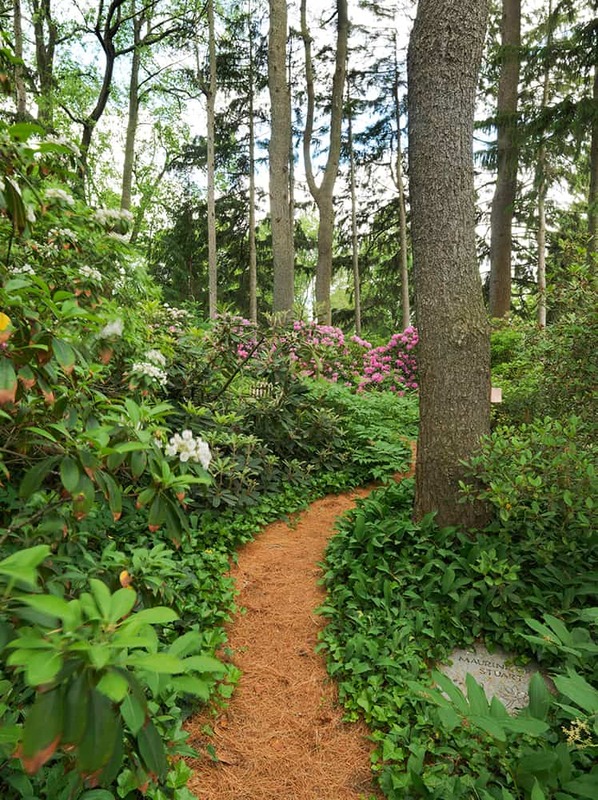 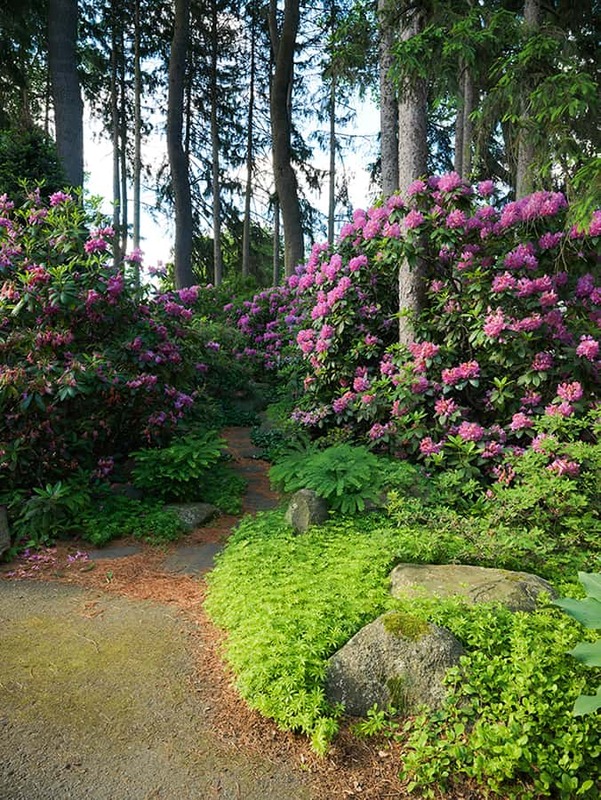 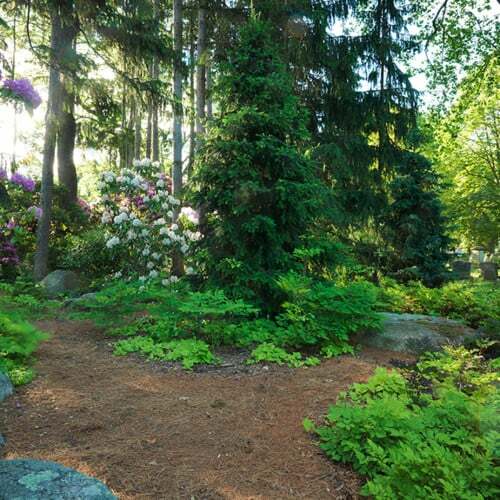 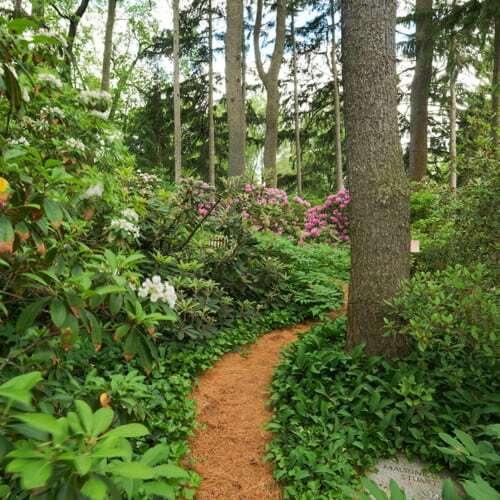 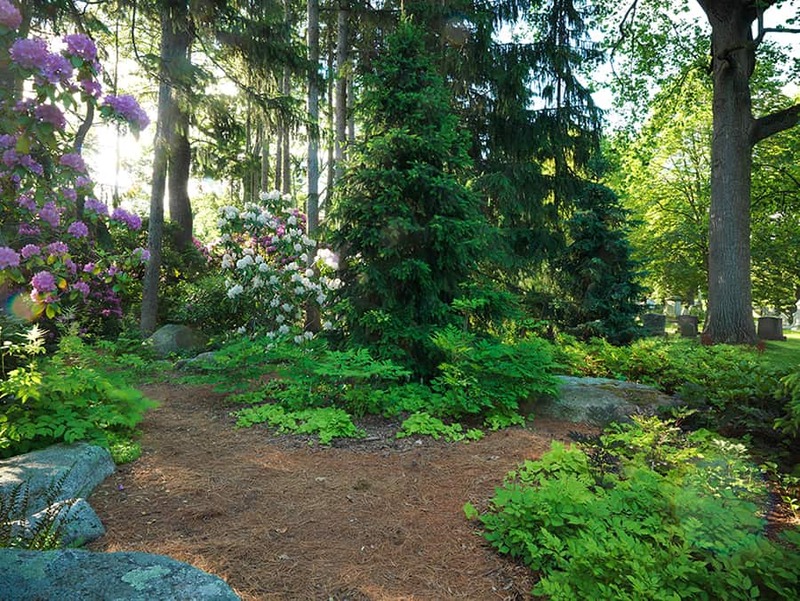 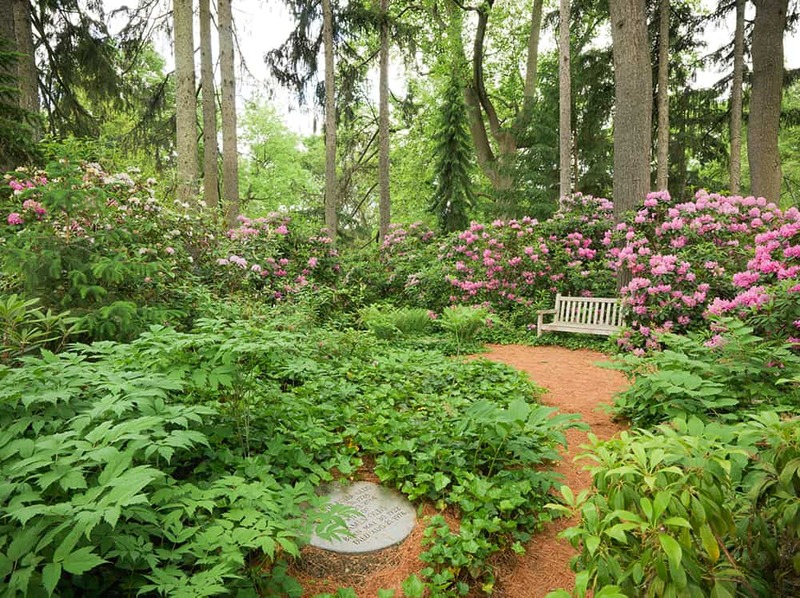 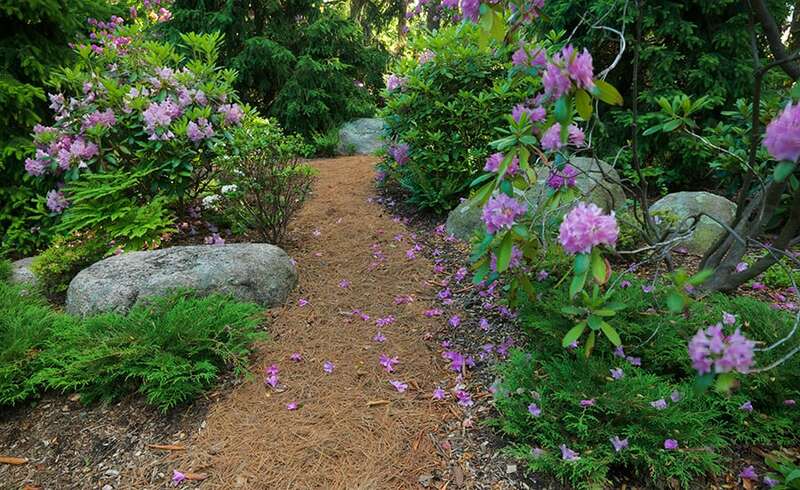 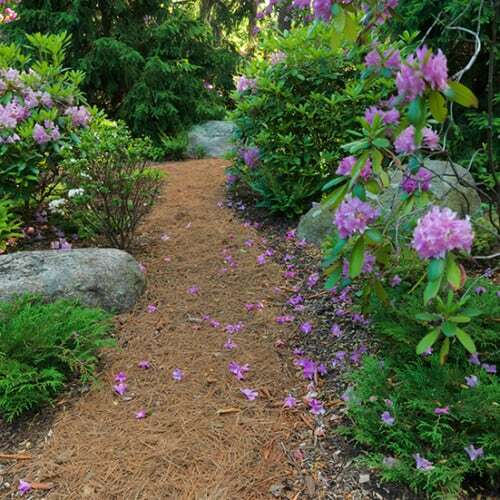 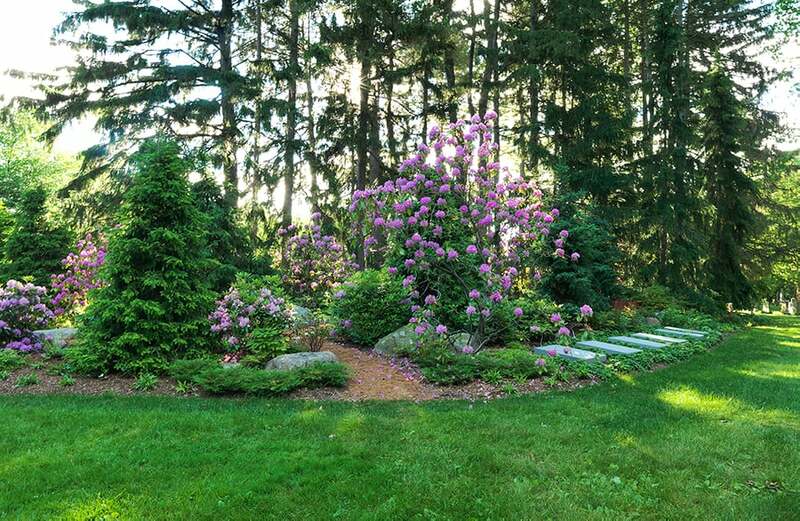 Shade-loving plantings include rhododendron and andromeda, perennials, and groundcovers. 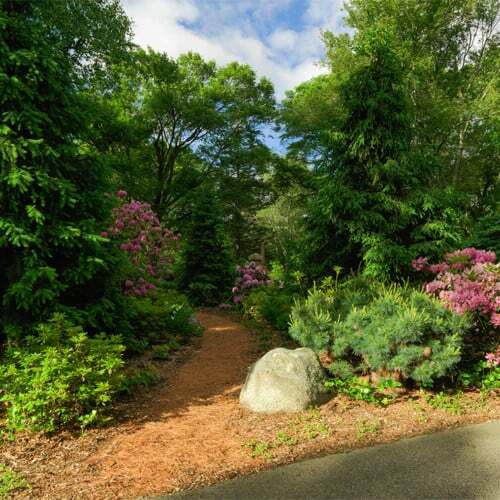 A large flat stone set in a clearing at the center of the mound allows small ceremonies to take place there. 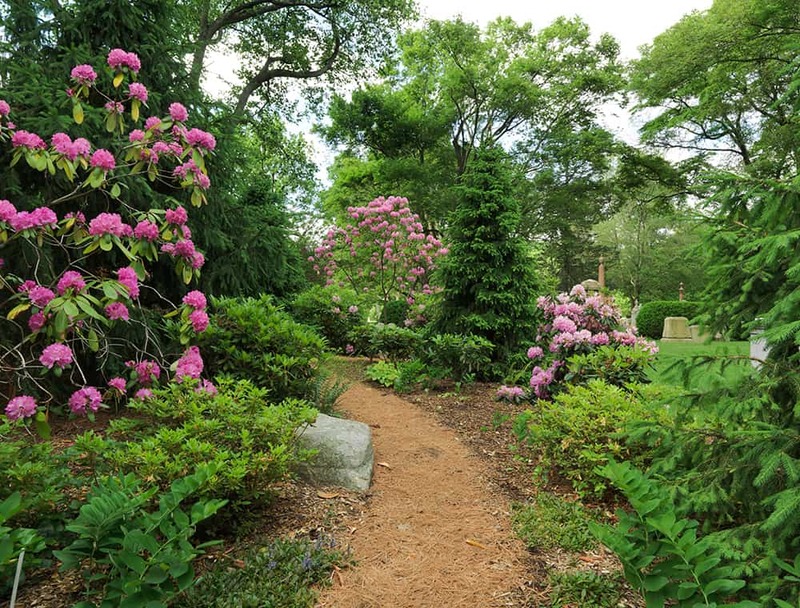 JMMDS recently designed this new section of garden at Spruce Knoll.